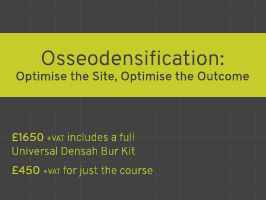 One day hands-on course with Jason Buglass that will optimise your implant practice and allow you to create more with less. The course will be taught and directed by Jason Buglass and his team. Participants will practice on actual bone specimens and specially developed clinical simulation models.